Link building is often touted as one of the biggest content marketing benefits. It’s true that great content marketing can result in high-quality backlinks, but this is a welcomed side effect – it shouldn’t be a primary goal. There is an abundance of other content marketing benefits that provide just as many, and in many cases more, positive effects than backlinks. Here are 13 ways that content marketing can benefit your business beyond links. Content marketing is beneficial in all stages of the buyer’s journey. 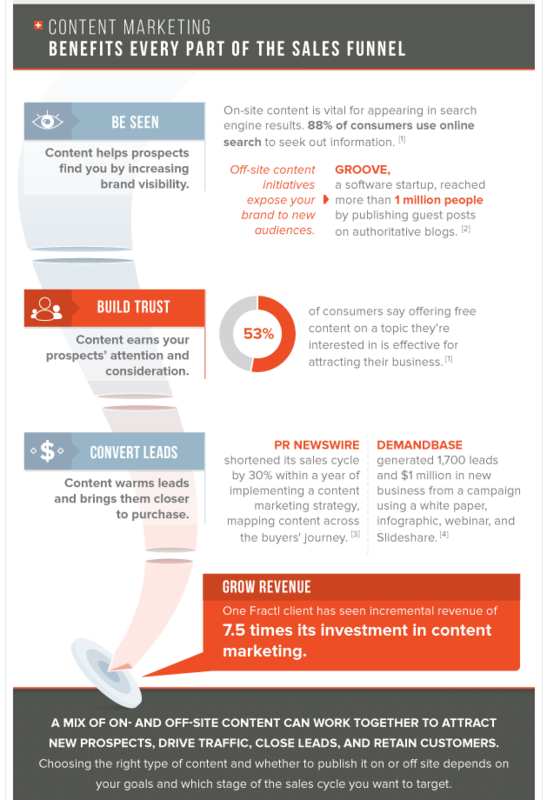 Content can help you be seen, build trust, convert leads, and grow revenue. When you stop thinking about links and start thinking about strategy as it connects to your sales funnel, you will be more likely to create content that attracts potential customers and clients and then guides them on a path that leads to doing business with you. A link on a high-authority website doesn’t improve awareness about your brand. The mention of your brand is what increases awareness. The value of being mentioned on popular sites is that your brand name gets in front of a large audience. Your brand awareness isn’t affected by a mention that includes a link or a nofollow link. When your brand is mentioned on a website with a big following and high online authority, it introduces you to a new audience. For new brands trying to become household names, using content marketing for PR can help them gain a foothold in the market. Fractl helped Movoto, a real estate research site, increase brand awareness through content marketing. 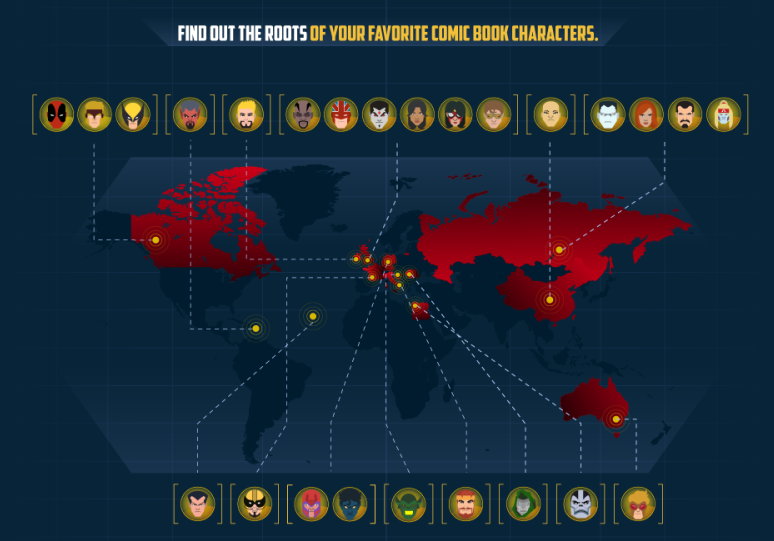 Campaigns like Twitter Reading Levels and Mapping Marvel Origins got Movoto exposure on MTV, Yahoo, Glamour, Mental Floss, Lifehacker, The Huffington Post, People, Business Insider, and more. Consistent exposure on multiple high-authority websites helped Movoto become a memorable and recognizable name. Products and services can also be introduced to new audiences through content marketing. CoverGirl does a great job of creating product awareness through YouTube clips. These makeup tutorials offer value to its audience while creating brand awareness and promoting CoverGirl products. Products and services can also be promoted through content marketing by showing off their core features and benefits. On-site content can be more straightforward with explaining products and services as audiences are on the brand website, which means they’re already somewhat interested in the product. But to effectively highlight features and benefits of a product or service through off-site content, it must be presented in an engaging and interesting way. 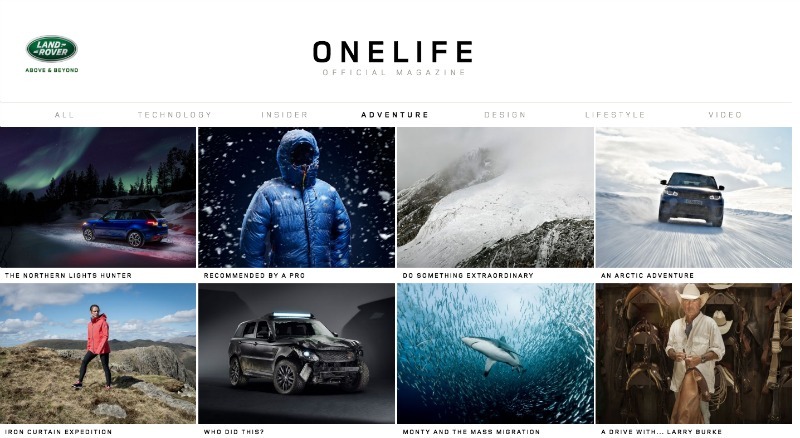 Land Rover does this well in its online magazine called Onelife. Instead of directly selling the audience on Land Rover, the magazine tells stories about going on adventures with its vehicles. One recent story documented surfer Chrystal Jameson Fitzgerald’s 4,000-mile journey through Alaska to show what it’s like to drive a Range Rover Evoque. Just as content can be used to introduce a brand, product, or service to a wide audience, it can be used to increase awareness about a particular problem. When you create content that exposes a problem your prospects may be facing, you educate your audience and drive them back to your products or services that solve the problem. To bring awareness to the drug problem in America, we worked with Recovery Brands to produce an interactive infographic that shares statistics on drug deaths in the U.S. The striking parallax infographic exposed a problem and then guided audiences to find information about overcoming the problem on the client’s website where they can find rehabilitation resources and treatment centers. Links are powerful because of their SEO value. But they are even more powerful because of the potential traffic they send to a website. When working on content marketing campaigns, remember that the traffic from a link can be more valuable than the link itself. One Fractl client received a nofollow link to its content from BuzzFeed. While it didn’t get link juice from the placement, it got something far better– the client saw a 271% increase in organic traffic from that one placement. If your brand has a unique point of view or perspective, you can use content marketing to drive that message home. This helps attract a tribe of loyal followers and fans. Standard Hotels is a line of hip and funky hotels located in trendy neighborhoods like Miami Beach, Hollywood, and the East Village. To establish its brand identity and attract its ideal customers, Standard Hotels regularly publishes timely content on lifestyle trends that match its core messaging and customers’ interests. You can’t get a link when someone mentions your website or brand on TV, but that certainly doesn’t make the reference invaluable. Getting mentioned in traditional media is a powerful way to get your organization in front of a new audience, create brand awareness, and draw more attention to your project, products, and services. Content marketing campaigns can result in traditional media coverage on both the local and national level. One of our client campaigns lead to the Today Show featuring it on its “What’s Trending Today” segment, putting the campaign in front of a huge national audience. When content marketing is done right, it can spread on social media. This exposure serves other goals like increasing brand awareness and driving traffic back to your website. Plus, it can tie back to improving your SEO in some ways. But the real benefit of increasing the number of social shares is getting the free promotion that comes when users share and promote your content for you. Our Perceptions of Perfection Across Borders racked up more than 900,000 shares because social media users connected with the content and shared it, compounding interest and creating a bigger buzz around our client. When social media users find content that they like, they want to know how to get more of it. So if you produce a viral or valuable piece of content that resonates with audiences, you create an opportunity to grow your social following. With a larger social following, you’ll be more likely to have success with other content campaigns as you’ll have an existing audience that you can share your new content with and count on to help spread the word. You can use content to build a social media following as well as an email list. Content marketing efforts can catch attention from audiences through off-site content and then draw them back to on-site content that prompts them to enter their email address to get content upgrades, exclusive content, or even quiz results. 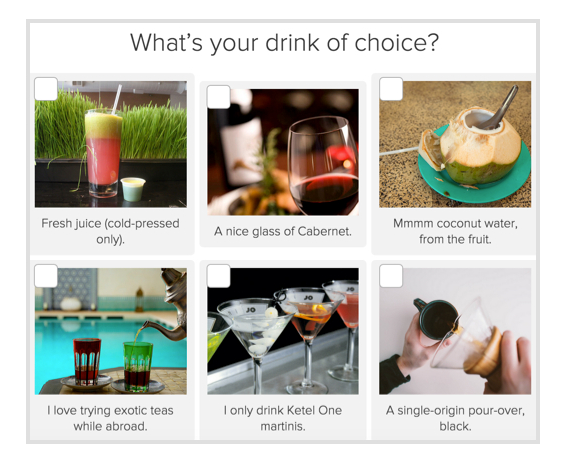 Afar Magazine grew its email list by 4,240 by creating a quiz “What’s Your Spirit City” and asking users to provide their email address in exchange for its results. Publishing authoritative, researched content helps you build trust for your brand. 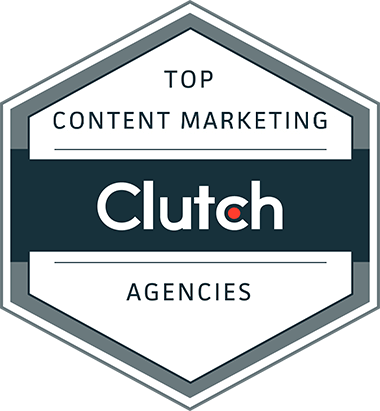 This type of content marketing allows you to show what your brand knows and why you are a leader in your industry. It puts your brand in a prospect’s mind, shows them that you are the best option in your field, and creates a path back to your product or service when the prospect is ready to buy. HubSpot is a marketing software company, so it’s no surprise that it’s a good example of effective content marketing as it relates to showing authority and building trust. Its website is filled with dozens and dozens of free resources that highlight its knowledge in the industry and prove why it’s the authority in its field. When content requires users to enter their information to access content upgrades like e-books, whitepapers, and guides that relate to problems that your organizations solves, you are doing more than growing your email list. You are collecting information from valuable leads, which are likely to turn into sales. 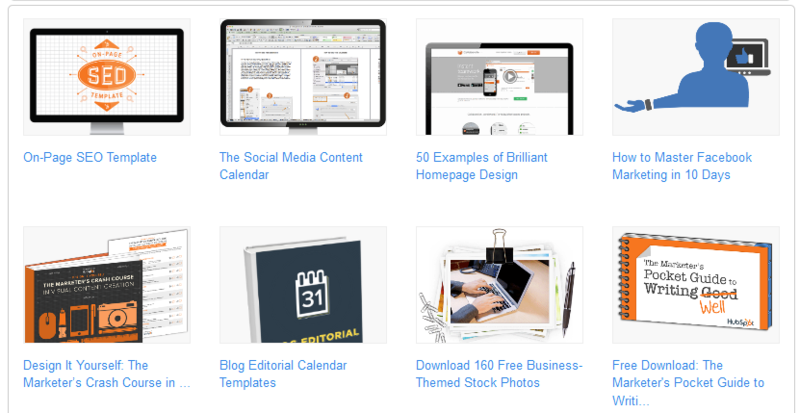 To continue the HubSpot example, the content marketing software has a large library of free guides and resources that relate to its core offering. Each person who signs up for one of its free offerings is a lead that is interested in its offerings, making them a hot lead for its sales pipeline. It’s easy to get caught up in the link hype when talking about content marketing. Backlinks are a powerful element of building a solid digital presence for your brand. But links shouldn’t be the sole goal or benefit that drives a content marketing plan. There are many content marketing benefits that outshine backlinks. And when you focus on those benefits, you will naturally create the backlinks you were trying so hard to build.